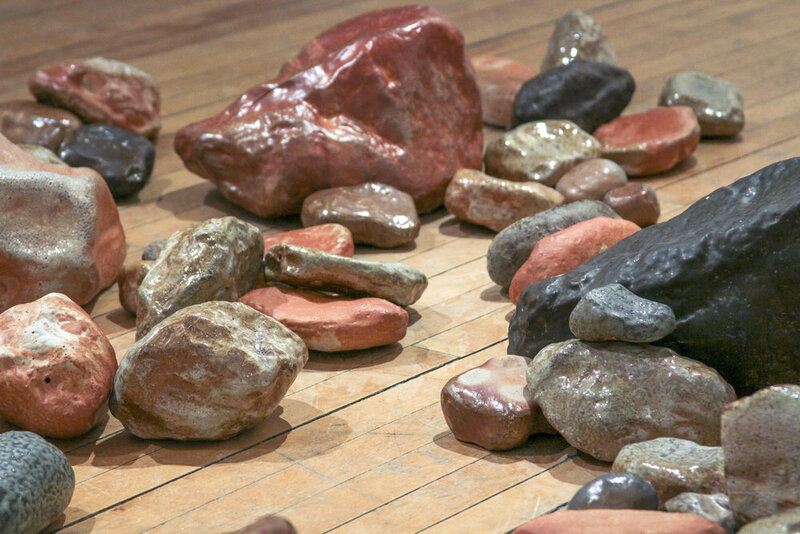 Erratic is inspired by naturally occurring glacial erratics, rocks transported from their native bedrock hundreds of miles by the movement of ancient glaciers. These rocks serve as temporal bridges in both a time-based and space-based sense, linking the deep time of distant, ancient bedrock and glacial movement, to that of human time and our current landscape. How would our world be different if we could think on the time scale of a rock? How would an understanding of deep time change our interactions with the natural world? How would it change our interactions with one another? 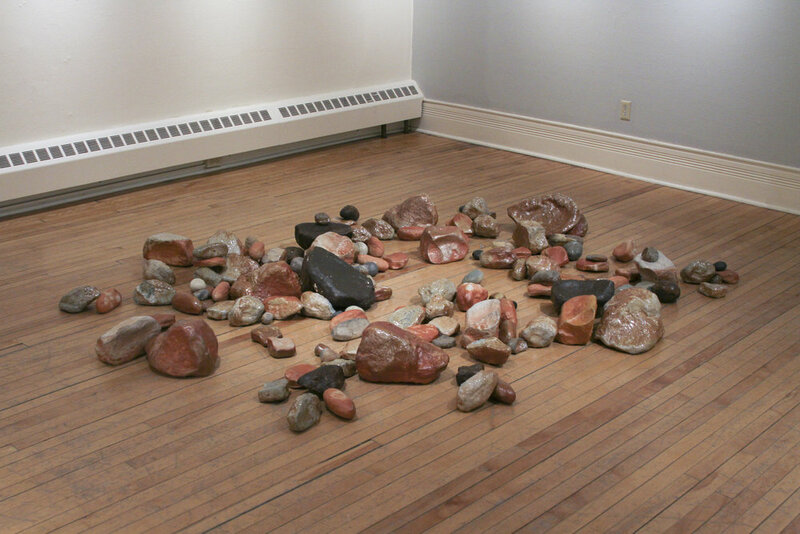 Through a monkish dedication of my own time to the repeated study of the forms of found erratic rocks, the creation of this sculptural installation is a meditation on such questions.